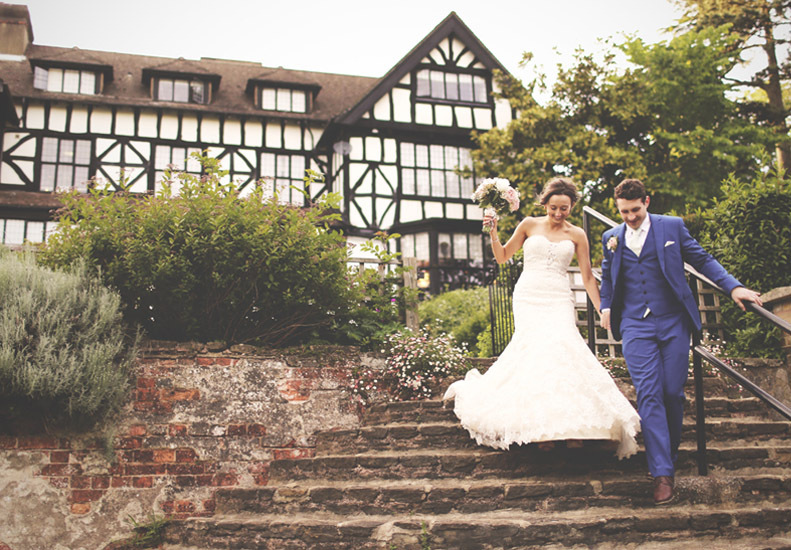 As wedding season approaches, it was a pleasure to stumble across a photo of a beautiful wedding at the Laura Ashley Manor Hotel on twitter. 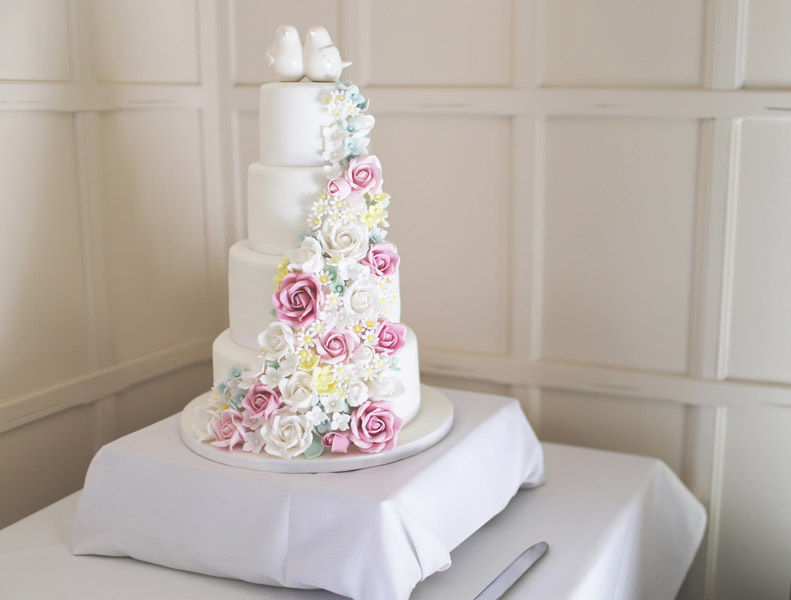 The smitten couple, Sam and Laurence, recently got hitched at the venue and were keen to share the scoop. 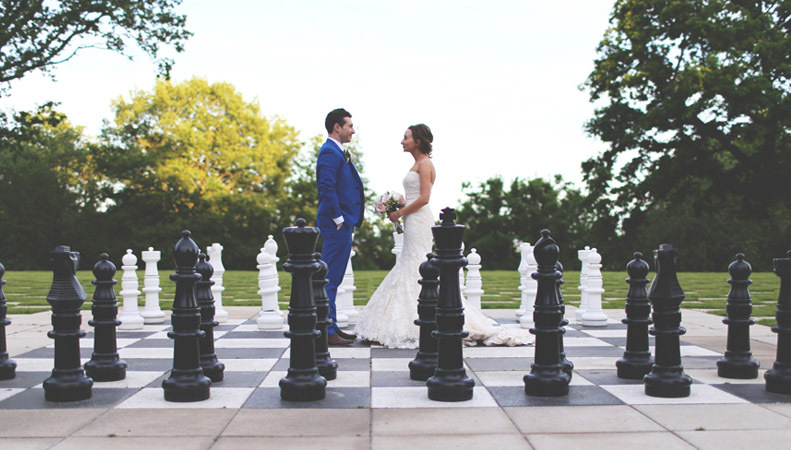 Upon learning more, we absolutely fell in love with the photos (taken by the talented Paul Ingram-Tedd) and thought it was only right we asked the bride and groom a few questions about their day at the Manor! 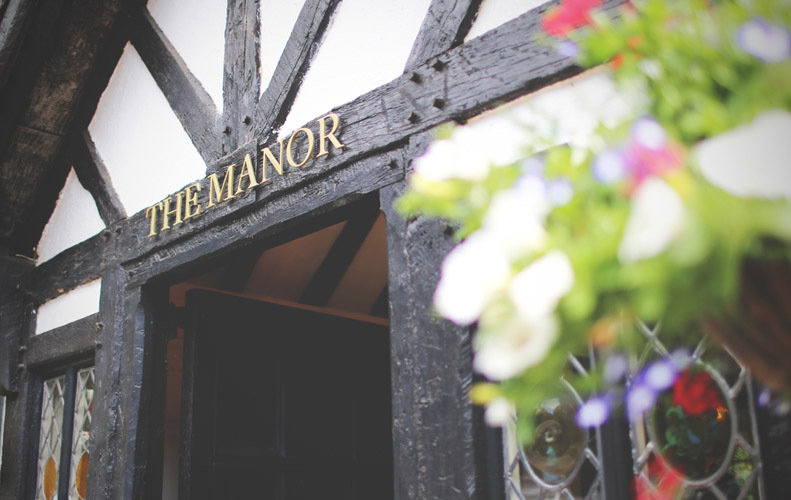 LA: Why did you pick the Laura Ashley Manor as your venue? I had read an article about the Manor being renovated by Laura Ashley and thought ‘I’d love to get married there.’ A month or so later Laurence proposed and I knew where we had to look! I went with my mum and loved it so much that I booked it there and then without Laurence. Luckily he came with me the next day and fell in love with the place too! The hotel is so lovely, and has a welcoming feeling as soon as you walk through the door. 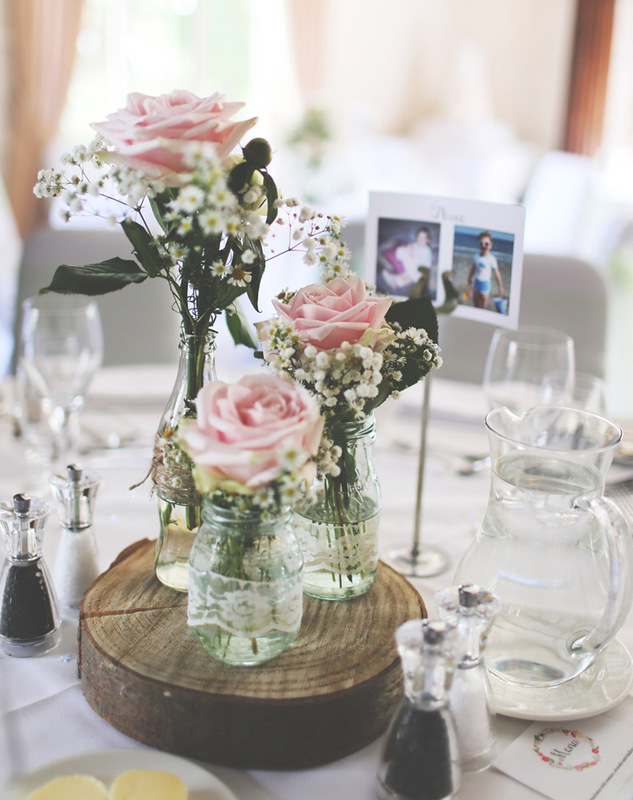 The rooms are just beautiful and the view, what can we say, fabulous for wedding photos! LA: What did you enjoy most about your big day? 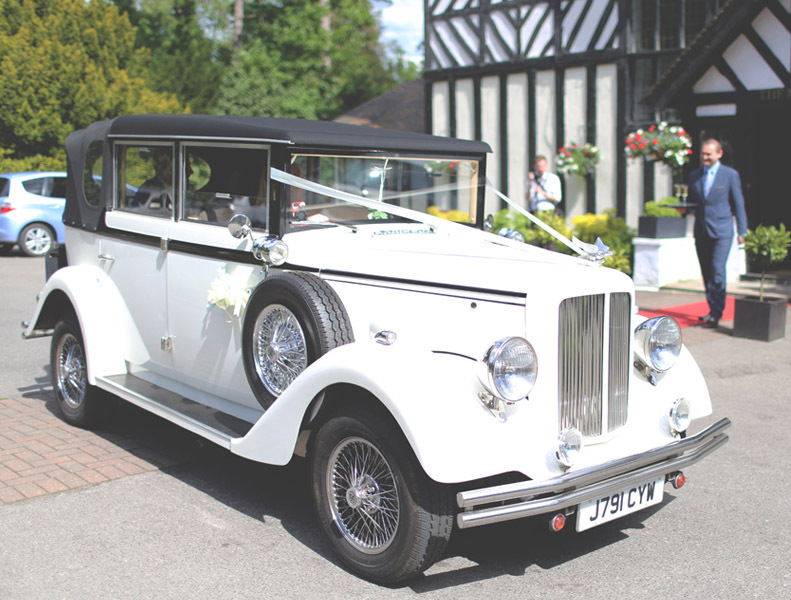 Apart from the amazing food, we loved pulling up to the Manor in our wedding car and seeing all of our family and friends gathered in the garden. Having everyone there to celebrate was just the best feeling in the world. 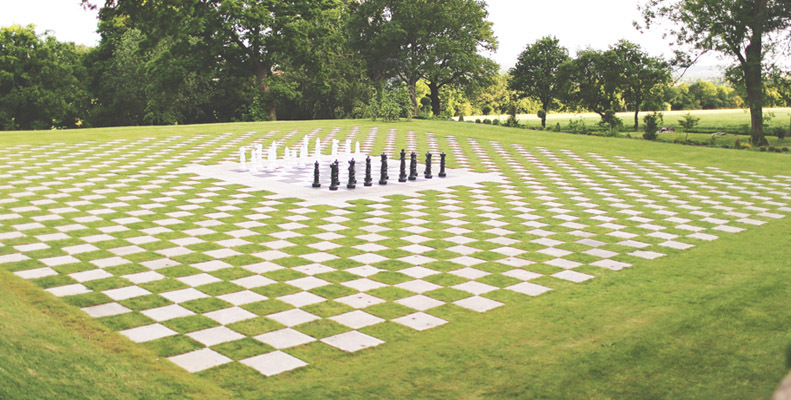 The chessboard was great fun for guests to play with while we were getting our photos done. Did we mention the great food? 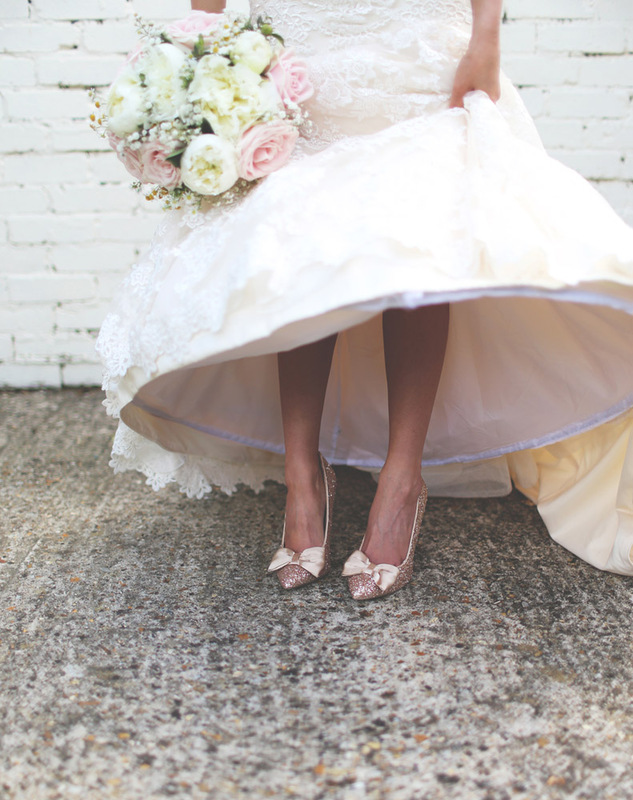 LA: Please share your top 3 tips for bride and grooms to be. – Pick a venue that suits your style. – Enjoy every moment and don’t be nervous! – Don’t be afraid to ask for help – delegate jobs to your ushers/bridesmaids throughout the day. You will initially think you can do it all yourself but you definitely can’t. 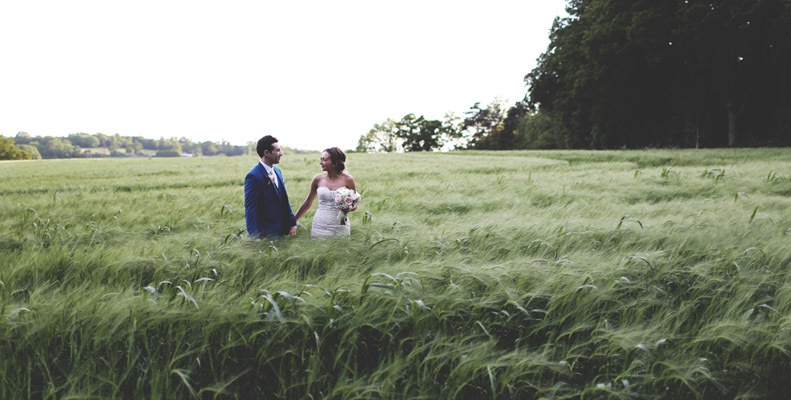 Thanks so much to the beautiful couple for sharing their big day with us. 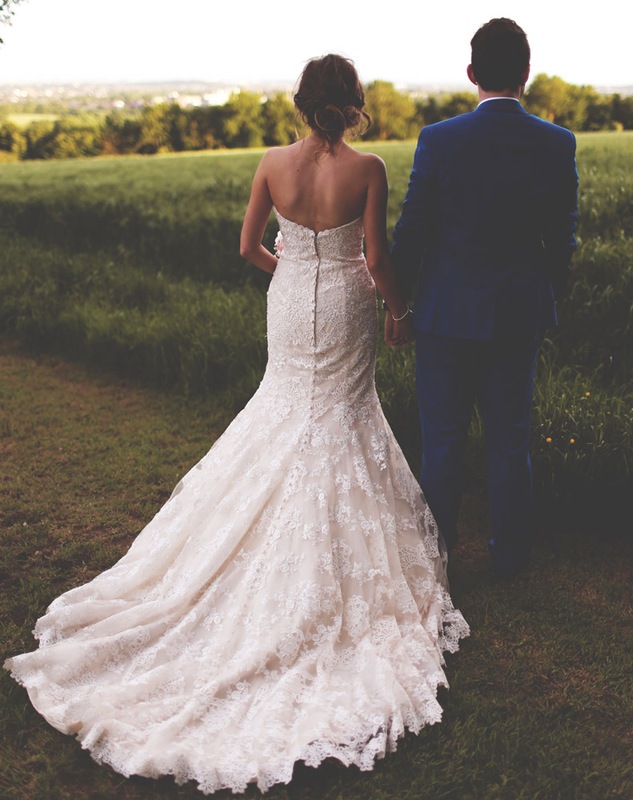 Are you planning a destination wedding? 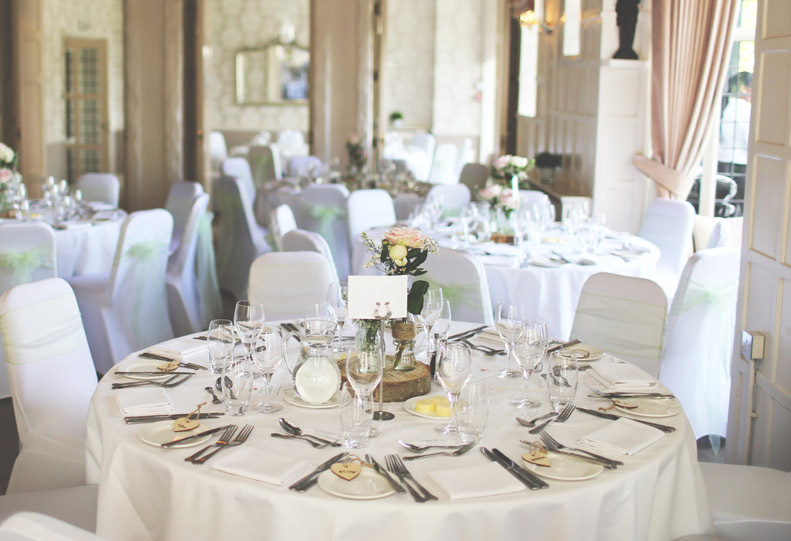 Check out our elegant Laura Ashley Manor Hotel for a potential venue. Photography by Paul Ingram-Tedd. 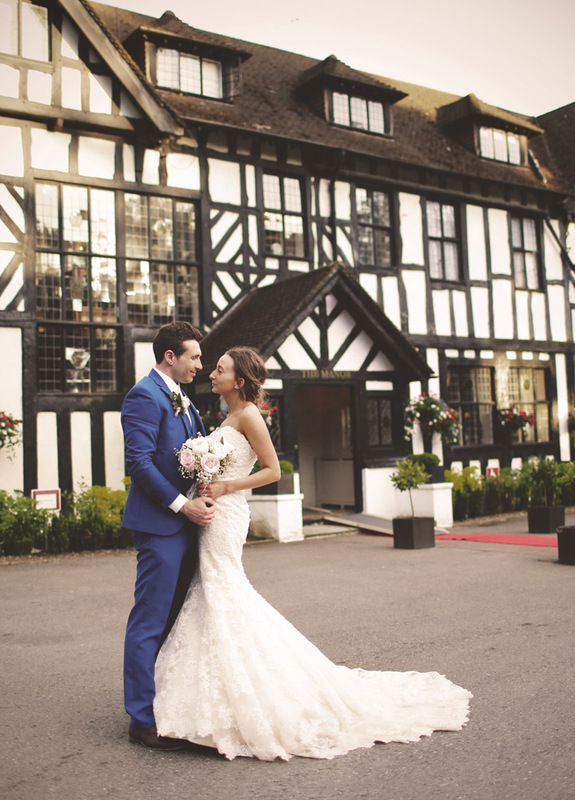 This entry was posted in Favourite Posts, Go See and tagged Bride, destination wedding, hotel, Laura Ashley Hotels, manor hotel, the manor, The Manor Wedding, Wedding, Wedding Bells: A Big Day at the Laura Ashley Manor. Bookmark the permalink. 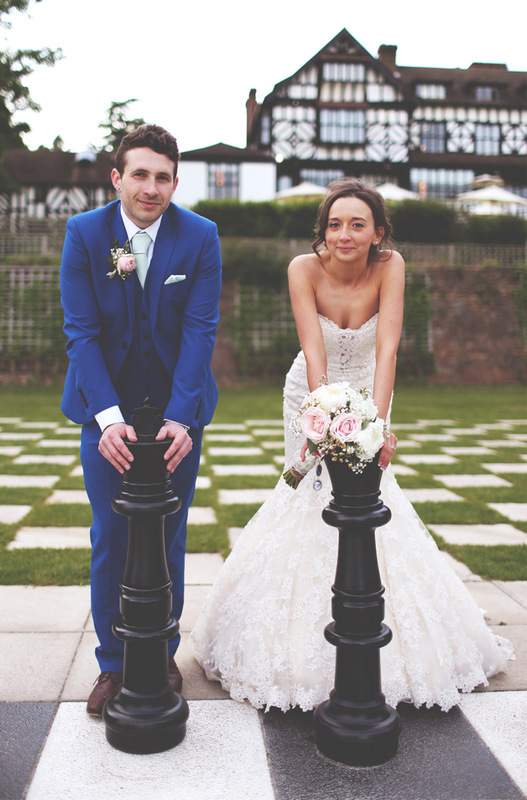 Having worked at Laura Ashley, the Laura Ashley Manor Hotel was such an idyllic place for Sam and Laurence. Congratulations to the couple.